I haven't hosted a contest before, time to change that! I had to pick a theme for this contest, and I decided to go for nature. Think of a colorful sunset, fresh green leaves, a bright blue underwater world, ... Nature can be a great inspiration for nail art, and I'd love to see how it inspires you! - You can enter with an older design. - The design has to be on your own nails. 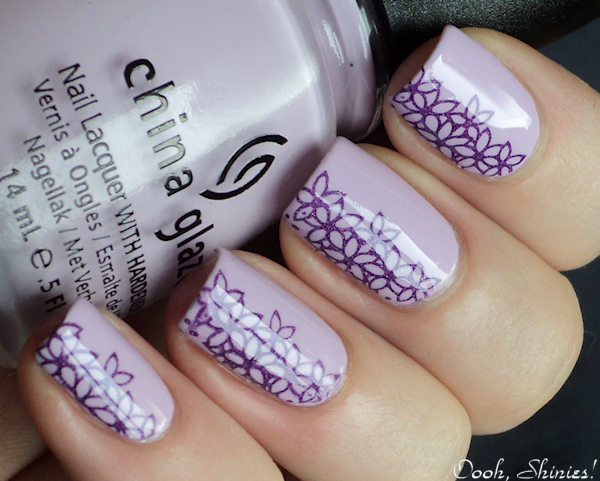 - Nail foils, water decals, stickers and full-nail products alike are not allowed. Besides that, anything goes! - You can have animals as accent, but the main theme of your mani should be nature. 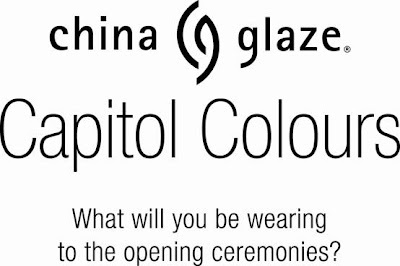 - This contest is open internationally and closes on 27 March. 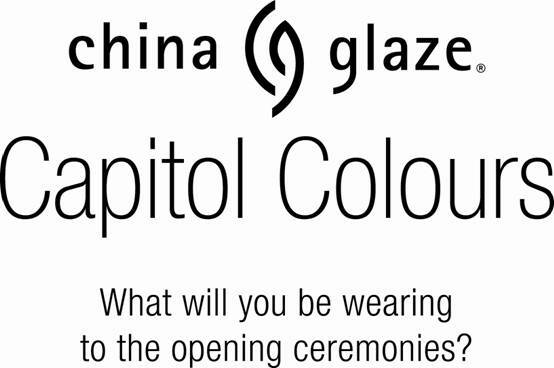 One winner will receive a $25 gift certificate from Apothica, sponsored by Inlinkz! The winner will be picked randomly, so everyone has an equal chance to win. Please use the Inlinkz tool below to enter. 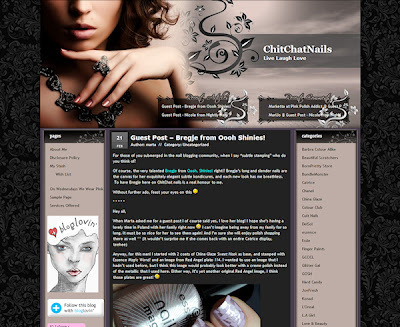 If you posted your design on your blog, please use the direct link to your post in the tool. If you don't have a blog, you can upload your photo to a free image host, like Photobucket, ImageShack or Flickr, and use the URL you get from that site instead. Hey all, I probably won't be posting much in the coming period, because I might have a house, yay!! I'm sooo excited! :D I have to wait for another week, then I get to go look at the house and decide if I want it or not, but I know how those houses look so I'm pretty sure I'll be moving soon :) Time to pack all my precious bottles as well then, lol. 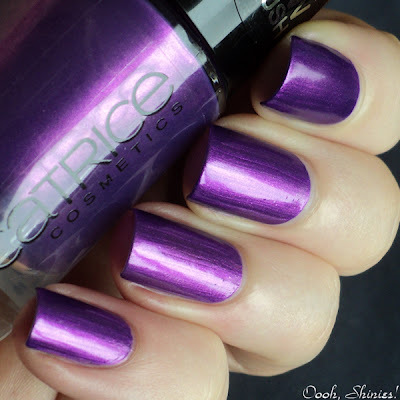 Essence Hang Loose with Catrice Purplelized, Red Angel plate 109 and Essence Soft Touch. And here it is without the matte TC. Hi everyone! 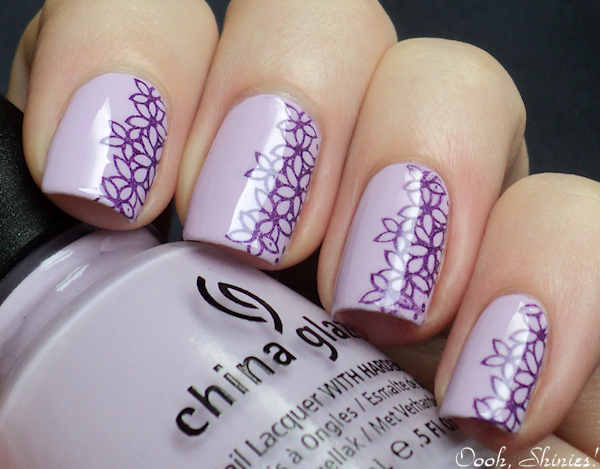 As you know, I almost always stamp with full nail images. But most plates have smaller images on them as well, and plate sets come with plenty of smaller images. So I have quite a few plates that I rarely ever use, with a lot of nice images! Now I plan on using smaller images a bit more often, and hopefully it'll become easier to stamp those little ones straight as well. The image that I picked today is like a half full nail image and that's how I stamped it as well. What do you think of it? 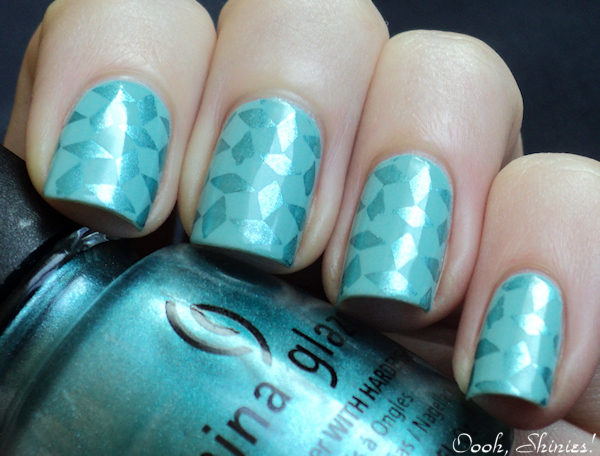 China Glaze Sweet Hook with Color Club Wild At Heart and Konad plate m51. Hi all! 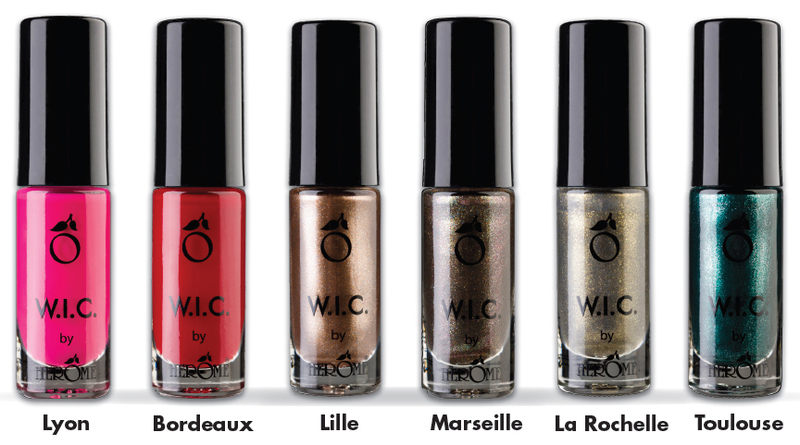 Herôme World Inspired Colours will come out with a new limited edition every 2 months, and the first one of the year is W.I.C. France. I received 2 of these for review, together with Herôme One Minute Dry Spray, and today I tried it all. 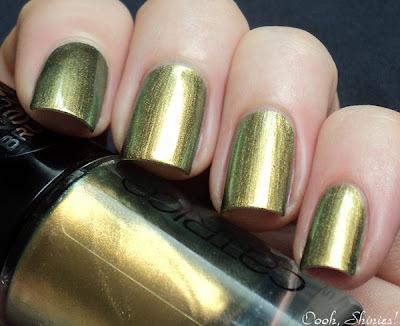 My swatches are without base- and top coat. 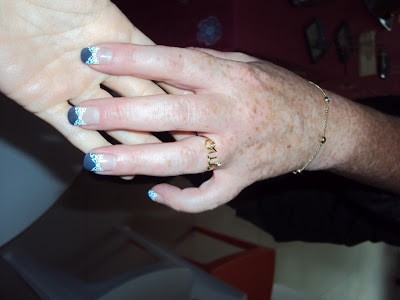 I used 3 coats for the photos because they showed VNL (visible nail lines), but 2 was enough. It photographs brighter than it really is, and it's pretty and flattering, but not an original color. I tried the One Minute Dry Spray with this polish, you have to wait 1 minute after applying your polish, and then spray it on each nail for a maximum of 3 seconds. Now I have quick dry drops from a different brand, but I don't like those, they leave a greasy layer on my nails and fingers. This spray has olive oil-extract and vitamine E to moisturize your cuticles, so I thought it might leave a greasy feeling too. 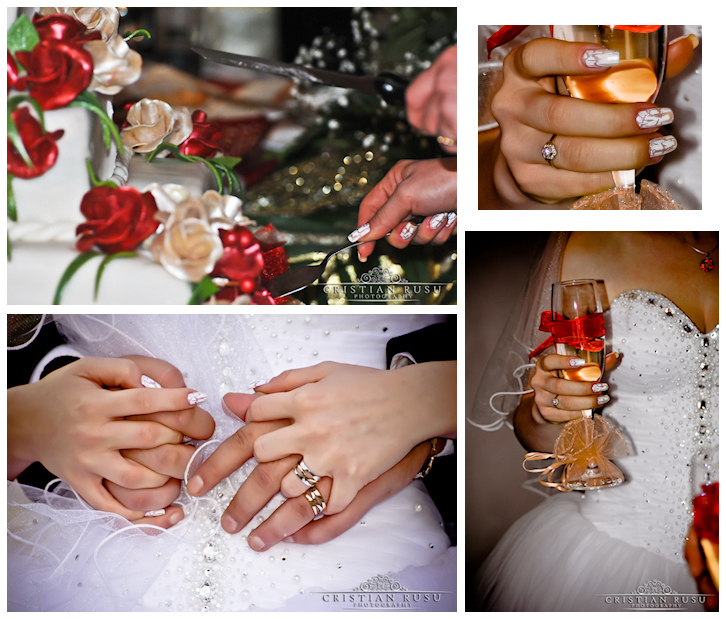 But as you can see on the pics, there's nothing greasy about my nails or fingers! 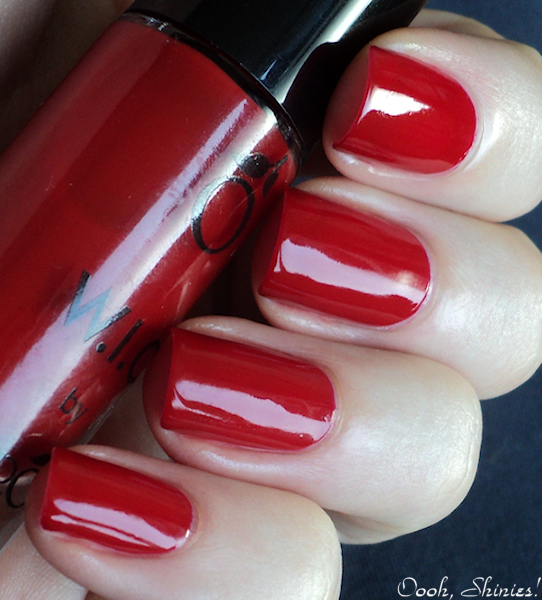 My cuticles feel nice and soft, and as the spray mentions, the polish looks shiny after using it. And the polish is almost completely dry after spraying, I could rub with my fingers over the polish with quite a bit of pressure, but pressing another nail in it did give a dent. I haven't found a quick dry product yet that doesn't have that, so I think it works well. 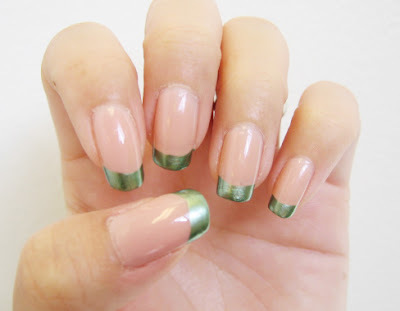 I almost always use a quick dry top coat, to seal in my nail art or to make a mani last longer, but I think it can be handy when you're going for a quick mani or for speeding up the waiting time with taped manis. Overall, I think it's a nice quick dry product, it's easy to use and does what it says, but I do think it's quite expensive. Although I have no idea how long this bottle will last, it's €9,95 for 75ml. 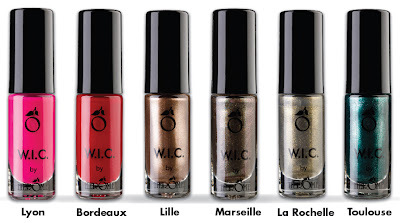 Here are the other polishes in the W.I.C. France LE. As usual, my camera makes this kind of pink look a lot lighter than it actually is, annoying! This one is more dark fuchsia, which makes the white flowers stand out even more. OPI Kiss Me On My Tulips with Konad White and Bundle Monster plate 224. What I dislike about Konad White stamping polish, is that when I add top coat it leaves some color in the top coat, making the basecolor a bit lighter. 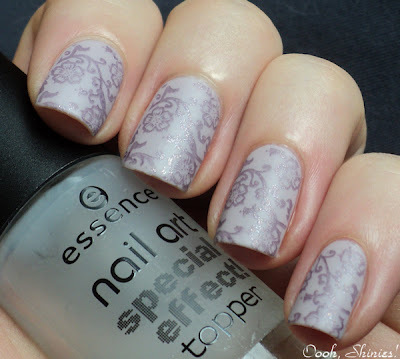 I've tried different top coats, but they all do that with this specific stamping polish. Do you know a top coat or a different white stamping polish that doesn't do that? 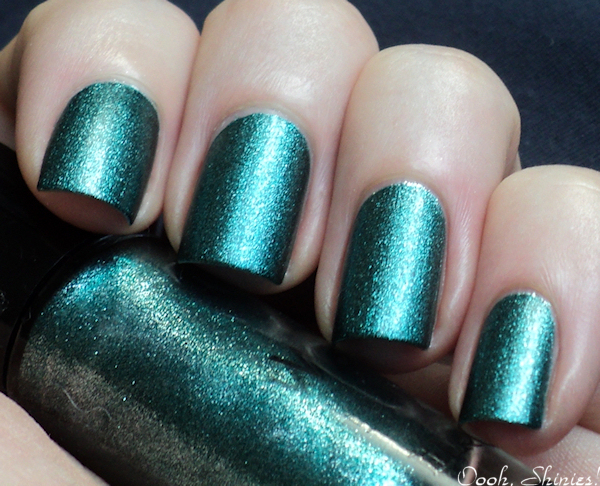 Hi all, here's a mani that I did a while ago :) The basecolor for this mani has a gorgeous shimmer, but the polish was way too sheer. The Ultimate Nudes bottles say "first stroke subtle coverage, second stroke higher coverage", but with just a few coats the result was oh so streaky, yikes! I ended up with 4 coats and had it dry overnight. So yeah, lovely color and all, but I don't think I'll ever wear it again, heh. 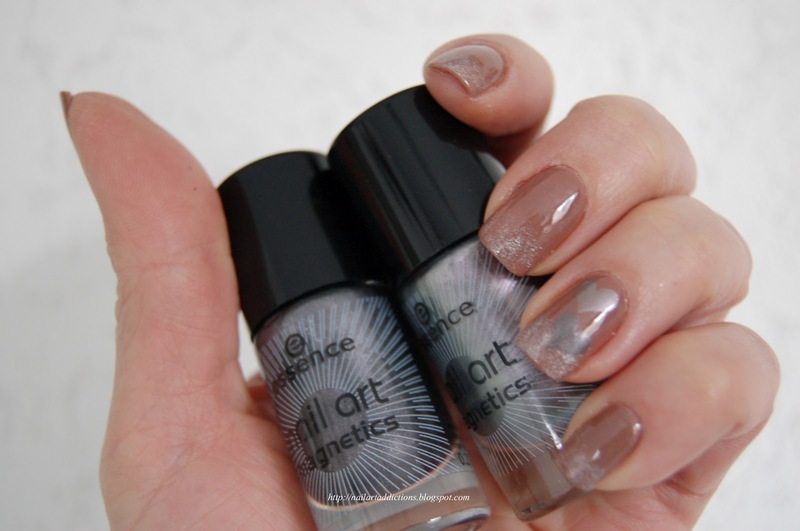 Catrice Mona Lisa Is Staring Back stamped with Bundle Monster plate 10 and Konad White polish. 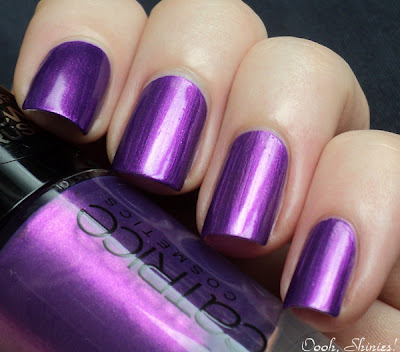 It's great to see Erika from Chloe's Nails back to blogging, she does some awesome manicures! 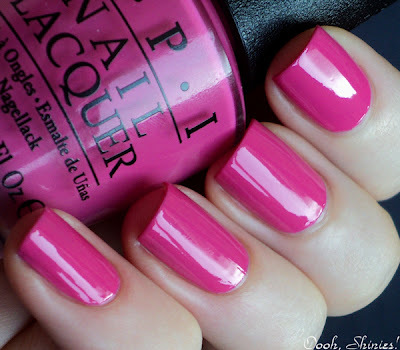 When I think of her I instantly think of funky French manicures in all kinds of colors, and I wanted to go for the one with the sheer pink with black tips and accent nail. 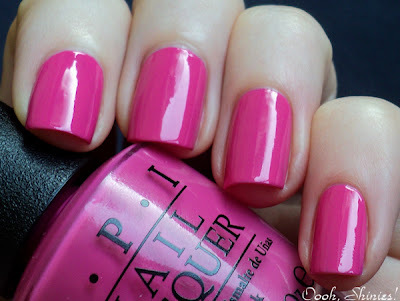 So that's what I tried a while ago, but my nails are just too stained to get away with a sheer pink. Yellow/pink nails just aren't so charming, eek! This time I went for a covering pink instead, and that did the trick. 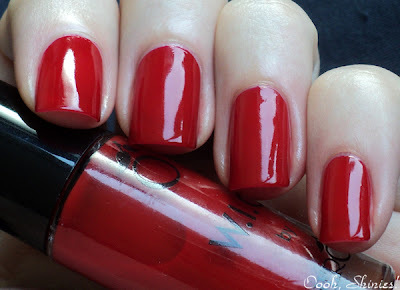 I used my Konad black for the tips, because it covers in 1 coat and the tips won't get too thick that way. 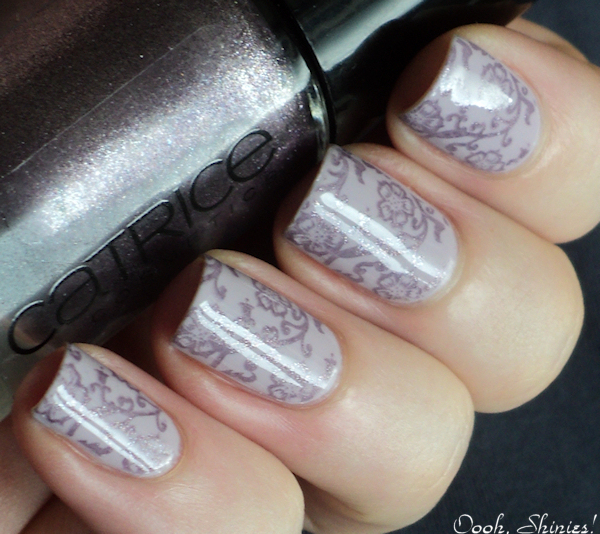 I added a little sticker as accent and finished the mani with Seche Vite to give it that crazy shine. China Glaze Something Sweet with taped tips in Konad Black and an Essence sticker as accent. You know I love to keep my manicures in the same colors, but I'm really enjoying this pink/black combo, it's such a fun mani! What do you think of the result? 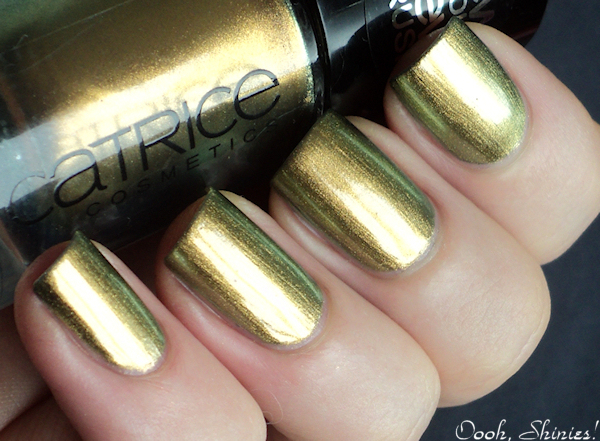 This morning I went to the store, hoping they'd have the new Catrice stuff, and I was lucky! The majority of the display was updated, but some polishes still had the old version of it. I didn't mind that too much though, it made it a lot easier to choose =) Here are the ones that I took home! 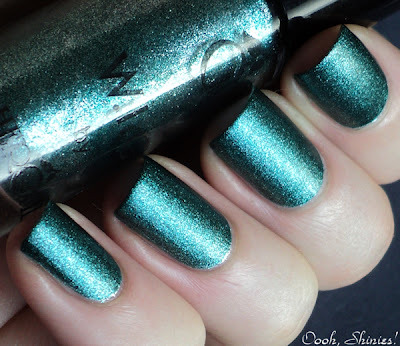 All swatches are without base- and topcoat. Well hello there, wannabe Péridot! I don't have the real thing to compare with, but considering that Chanel Péridot costs almost 10x as much, I think it's close enough either way :) Again some visible light brushstrokes, but the 3rd coat evened things out a bit more. The darker bronze color shows up better irl. 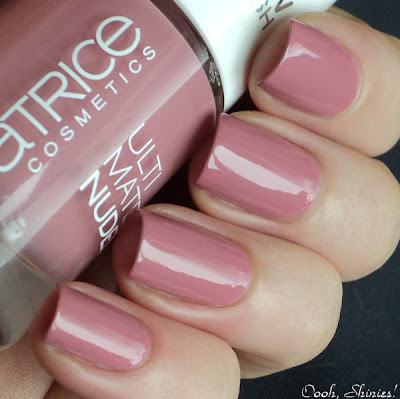 I only tried 1 Ultimate Nudes polish before, and even though that was a pretty color, it didn't cover well at all and using it as a sheer polish looked terribad. 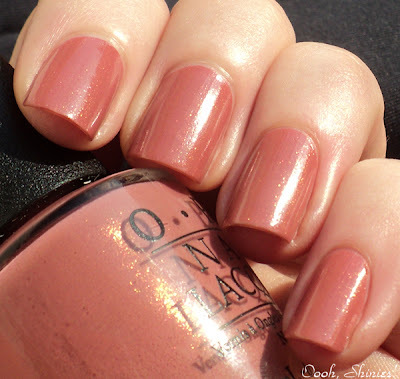 So I was a bit hesitant to try this one, but after looking at the brush of this polish and some other Ultimate Nudes in the store, it looked like this one would actually cover well. So I took it home, and I'm glad I did! 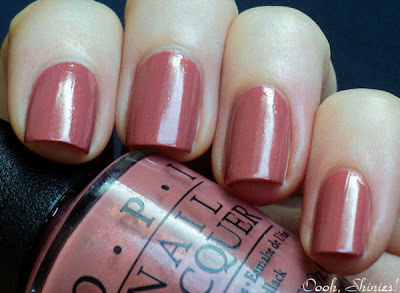 It's a soft and delicate looking rose colored polish, but it's darker than my pics show. When I saw this on pictures I wasn't sure if I needed it, I thought it was maybe too similar to some other taupe polishes. But it's more purple than I thought, and it's pretty! 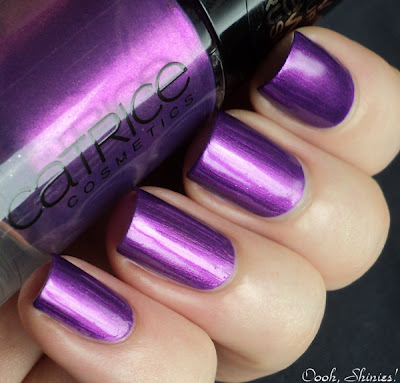 I think Catrice added some great new colors and I'm sure I'll end up with some more of them, but I'm not completely positive. They changed the brush, and I don't like the new one! It's bigger and softer, and the application just gets a bit tricky for me with these kind of wobbly wide brushes. It did get easier the more I swatched, but I don't think I'll get fully used to it. Too bad! The 2 cremes look boring next to the duochromes, but they make me think of stamping straight away and I'm sure they'll make great bases! 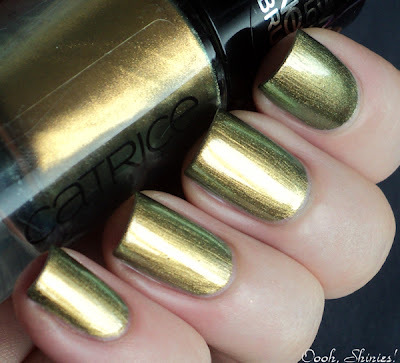 What do you think of the new Catrice polishes? 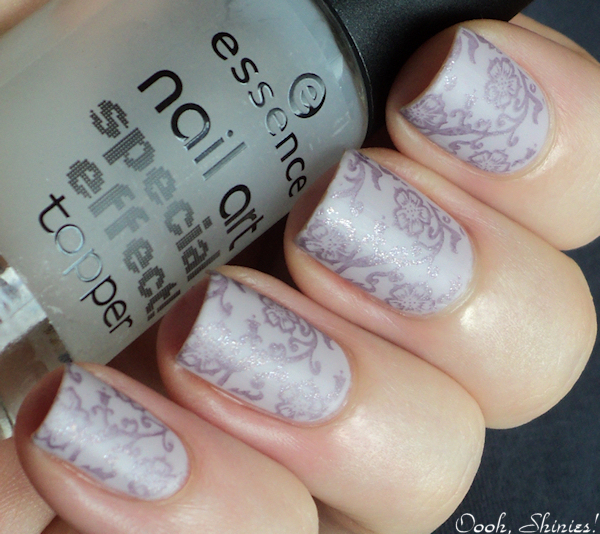 Heya :) For today's mani I used one of the Essence plates, but I can't really say that I love those. They have some nice full nail images, but I always seem to have some issues with them, I think they're a bit less deep than some other plates. The smaller images that I tried worked fine though, but you know I love full nail images! 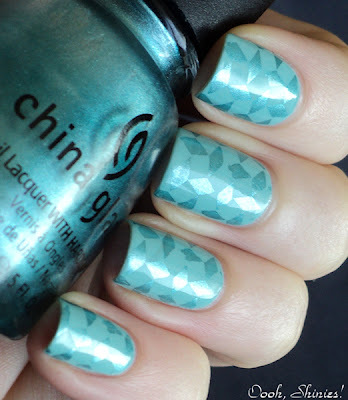 Essence Kings of Mints stamped with China Glaze Adore and an Essence plate.